In Eisenstadt v. Baird, the United States Supreme Court decides that unmarried persons have the right to have contraceptives. Recent controversy over the Affordable Care Act’s contraception mandate has served as a reminder of how shaky our rights to contraception can be. Although 99 percent of women have used contraception at some point in their lives, access to contraception is still subject to challenges. Section 2713 of the Affordable Care Act mandated that employers’ health plans include coverage for contraceptives without co-pays or deductibles. Critics attacked the law as unfair to religious institutions that oppose the use of contraceptives. Responding to pressure, the Obama White House offered a compromise that shifted the responsibility for coverage from any religious institution opposed to the mandate to the employees’ health insurance. Our rights to contraception are not only shaky at times, but also not long established. When people think of celebrities like Marlon Wayans, Cameron Diaz, or Maya Rudolph, old age is probably not what comes to mind. However, what they have in common is that they were each born in 1972, the year the U.S. Supreme Court decided the case Eisenstadt v. Baird, a landmark decision that guaranteed unmarried couples the same access to birth control as married couples. March 22 of this year marks the 40th anniversary of this court victory for reproductive rights activist Bill Baird, and for the reproductive freedoms he defended in the U.S. Supreme Court. Bill Baird has championed reproductive rights in many ways throughout much of his lifetime, from founding an organization called the Parents Aid Society to distributing contraceptives in a converted delivery truck he called the “Plan Van.” However, he is best known for a legal fight that began when hundreds of students at Boston University petitioned him to challenge a 19th-century Massachusetts law that prohibited the provision of contraceptives to unmarried individuals. At the time of Baird’s challenge to the law, unmarried people were able to buy condoms, since they could be sold on the grounds that they prevented sexually transmitted diseases, but other contraceptives were prohibited. Baird responded to the petition by committing a prearranged violation of the law on April 6, 1967. At a lecture he gave that day, Baird handed a condom and a package of contraceptive foam to an unmarried 19-year-old woman. Baird was promptly arrested and given a prison sentence. His appeal launched a court battle that took him to the Massachusetts Superior Court and later to the Supreme Court. Eisenstadt v. Baird established that all people, on the grounds of their right to privacy, should be free from government interference in their reproductive decisions, regardless of whether they are married or unmarried. The significance of the decision was apparent a year later when it was quoted six times in the Roe v. Wade judgment, the landmark decision that legalized abortion in the United States. Baird’s was a remarkable victory for the precedent it set, but Baird wasn’t finished. Baird returned to the Supreme Court for two more legal challenges, in 1976 and 1979, both against restrictions on the reproductive rights of minors. In a span of less than a decade, Baird’s three Supreme Court cases and Roe v. Wade established many of the reproductive freedoms we have now. We’re fortunate that those freedoms were established in so short a time, but many will doubtless find it sobering, and perhaps surprising, that at least one of them, the right of unmarried people to obtain contraceptives, was established so recently. The survivors of the Andes flight disaster are rescued after 73 days, having reportedly survived by cannibalism. was a chartered flight that crashed on a glacier at an elevation of 3,570 metres in the remote Andes. Among the 45 people on board, 28 survived the initial crash. Facing starvation and death, the survivors reluctantly resorted to cannibalism. After 72 days on the glacier, 16 people were rescued. The flight carrying 19 members of a rugby team, family, supporters, and friends originated in Montevideo, Uruguay and was headed for Santiago, Chile. While crossing the Andes, the inexperienced co-pilot who was in command mistakenly believed they had reached Curicó, Chile, despite instrument readings indicating otherwise. He turned north and began to descend towards what he thought was Pudahuel Airport. Instead, the aircraft struck the mountain, shearing off both wings and the rear of the fuselage. The forward part of the fuselage careened down a steep slope like a toboggan and came to rest on a glacier. Three crew members and more than a quarter of the passengers died in the crash, and several others quickly succumbed to cold and injuries. On the tenth day after the crash, the survivors learned from a transistor radio that the search had been called off. Faced with starvation and death, those still alive agreed that should they die, the others might consume their bodies in order to live. With no choice, the survivors ate the bodies of their dead friends. Seventeen days after the crash, 27 remained alive when an avalanche filled the rear of the broken fuselage they were using as shelter, killing eight more survivors. The survivors had little food and no source of heat in the harsh conditions. They decided that a few of the strongest people would hike out to seek rescue. Passengers Nando Parrado and Roberto Canessa, lacking mountaineering gear of any kind, climbed from the glacier at 3,570 metres to the 4,670 metres peak blocking their way west. Over 10 days they trekked about 38 miles seeking help. The first person they saw was Chilean arriero Sergio Catalán, who gave them food and then rode for ten hours to alert authorities. The story of the passengers’ survival after 72 days drew international attention. The remaining 16 survivors were rescued on 23 December 1972, more than two months after the crash. The survivors were concerned about what the public and family members of the dead might think about their acts of eating the dead. There was an initial public backlash, but after they explained the pact the survivors made to sacrifice their flesh if they died to help the others survive, the outcry diminished and the families were more understanding. The incident was later known as the Andes flight disaster and, in the Hispanic world, as El Milagro de los Andes. Members of the amateur Old Christians Club rugby union team from Montevideo, Uruguay, were scheduled to play a match against the Old Boys Club, an English rugby team in Santiago, Chile. Club president Daniel Juan chartered an Uruguayan Air Force twin turboprop Fairchild FH-227D to fly the team over the Andes to Santiago. The aircraft carried 40 passengers and 5 crew members. Colonel Julio César Ferradas was an experienced Air Force pilot who had a total of 5,117 flying hours. He was accompanied by co-pilot Lieutenant-Colonel Dante Héctor Lagurara. There were 10 extra seats and the team members invited a few friends and family members to accompany them. When someone cancelled at the last minute, Graziela Mariana bought the seat so she could attend her oldest daughter’s wedding. The aircraft departed Carrasco International Airport on 12 October 1972, but a storm front over the Andes forced them to stop overnight in Mendoza, Argentina. Although there is a direct route from Mendoza to Santiago 200 kilometres to the west, the high mountains require flight levels of 25,000 to 26,000 feet, very close to the FH-227D’s maximum operational ceiling of 28,000 feet. Given that the FH-227 aircraft was fully loaded, this route would have required the pilot to very carefully calculate fuel consumption and to avoid the mountains. Instead, it was customary for this type of aircraft to fly a longer 600 kilometres, 90-minute U-shaped route from Mendoza south to Malargüe using the A7 airway. From there aircraft flew west via the G-17 airway, crossing Planchón Pass, to the Chilean town of Curicó, and from there north to Santiago. The weather on 13 October also affected the flight. On that morning, conditions over the Andes had not improved but changes were expected by the early afternoon. The pilot waited and took off at 2:18 PM on Friday 13 October from Mendoza. He flew south from Mendoza towards Malargüe at flight level 180. Lagurara radioed the Malargüe airport with their position and told them they would reach 2,515 metres high Planchón Pass at 3:21 PM. The pass is the hand-off point for air traffic control from one side of the Andes to the other. At the pass, controllers in Mendoza transfer flight tracking to Pudahuel air traffic control in Santiago, Chile. Once across the mountains in Chile, south of Curicó, aircraft turn north and initiate descent into Pudahuel Airport in Santiago. Given the cloud cover, the pilots were flying under instrument meteorological conditions at an altitude of 18,000 feet, and could not visually confirm their location. While some reports state the pilot incorrectly estimated his position using dead reckoning, the pilot was relying on radio navigation. The aircraft’s VOR/DME instrument displayed to the pilot a digital reading of the distance to the next radio beacon in Curicó. At Planchón Pass, the aircraft still had to travel 60–70 kilometres to reach Curicó. Inexplicably, at 3:21 PM, shortly after transiting the pass, Lagurara contacted Santiago and notified air controllers that he expected to reach Curicó a minute later. The flight time from the pass to Curicó is normally eleven minutes, but only three minutes later the pilot told Santiago that they were passing Curicó and turning north. He requested permission from air traffic control to descend. The controller in Santiago, unaware the flight was still over the Andes, authorized him to descend to 11,500 feet. Later analysis of their flight path found the pilot had not only turned too early, but turned on a heading of 014 degrees, when he should have turned to 030 degrees. Roberto Canessa later said he thought the pilot turned north too soon, and began the descent to Santiago, Chile while the aircraft was still high in the Andes. Then, “he began to climb, until the plane was nearly vertical and it began to stall and shake.” The aircraft ground collision alarm sounded, alarming all of the passengers. The pilot applied maximum power in an attempt to gain altitude. Witness accounts and evidence at the scene indicated the plane struck the mountain either two or three times. The pilot was able to bring the aircraft nose over the ridge but at 3:34 pm, the lower part of the tail cone may have clipped the ridge at 4,200 metres. The next collision severed the right wing. Some evidence indicates it was thrown back with such force that it tore off the vertical stabilizer and the tail cone. When the tail cone was detached, it took with it the rear portion of the fuselage, including two rows of seats in the rear section of the passenger cabin, the galley, baggage hold, vertical stabilizer, and horizontal stabilizers, leaving a gaping hole in the rear of the fuselage. Three passengers, the navigator, and the steward were lost with the tail section. The aircraft continued forward for a few more seconds when the left wing struck an outcropping at 4,400 meters, tearing off the wing. One of the propellers sliced through the fuselage as the wing it was attached to was severed. Two passengers were sucked out of the rear of the open fuselage. The front portion of the fuselage flew straight through the air before sliding down the steep slope at 350 kilometres per hour like a high speed toboggan for about 725 metres before colliding with a snow bank. The impact against the snow bank crushed the cockpit and the two pilots inside, killing Ferradas. The official investigation concluded that the crash was caused by controlled flight into terrain due to pilot error. An Aeroflot Ilyushin Il-62 crashes, killing 174. Aeroflot Flight 217 was a non-scheduled international passenger flight from Orly Airport in Paris to Sheremetyevo International Airport in Moscow, with a stopover at Shosseynaya Airport now Pulkovo Airport in Leningrad now Saint Petersburg. On 13 October 1972, the Ilyushin Il-62 airliner operating the flight crashed on approach to Sheremetyevo, with the loss of all 164 passengers and crew of 10. At the time, it was the world’s worst aviation disaster, until it was surpassed by the Kano air disaster in 1973. 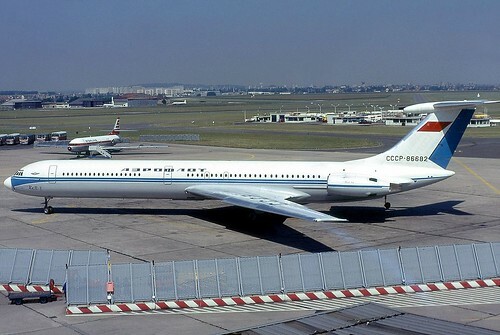 As of 2016, the accident remains the second-deadliest one involving an Il-62, after LOT Flight 5055, and the second-deadliest on Russian soil, after Aeroflot Flight 3352. Shortly before the expected landing, the plane was flying at the altitude of 1200 m and received the ATC instructions to descend to 400 m. The crew confirmed and started to descend, but later there was no action to return to the horizontal flight. The plane passed the 400 m mark with 20 m/s vertical velocity, no expected report to ATC and engines still running at low thrust. It crashed shortly afterwards, with landing gear up, spoilers retracted and horizontal speed about 620 km/h. The cause of the crash could not be determined. Investigators did believe the most probable cause was the ‘psycho-physiological incapacitation of the crew for reasons unknown’. Somewhere at the 500 – 600 m. elevation, 30 – 25 seconds before impact, the pilots either have been incapacitated or lost control of the plane. 174 people are killed when an Aeroflot Ilyushin Il-62 crashes just outside Moscow. Aeroflot Flight 217 was a non-scheduled international passenger flight from Orly Airport in Paris to Sheremetyevo International Airport in Moscow, with a stopover at Shosseynaya Airport in Leningrad. On 13 October 1972, the Ilyushin Il-62 airliner operating the flight crashed on approach to Sheremetyevo, with the loss of all 164 passengers and crew of 10. At the time, it was the world’s worst aviation disaster As of 2016, the accident remains the second-deadliest one involving an Il-62, after LOT Flight 5055, and the second-deadliest on Russian soil, after Aeroflot Flight 3352. The cause of the crash could not be determined. Investigators did believe the most probable cause was the ‘psycho-physiological incapacitation of the crew for reasons unknown. Somewhere at the 500 – 600 m. elevation, 30 – 25 seconds before impact, the pilots either have been incapacitated or lost control of the plane. 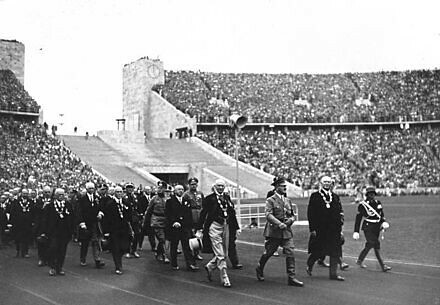 The International’ Olympic Committee withdrew its invitation to Rhodesia to compete in the Olympic Games. The decision followed a week of objections by black athletes from other African nations to Rhodesia’s participation in the Olympics because of that country’s racial policies. The vote, announced by Avery Brundage, the committee president, was 36 in favor of withdrawal, 31 opposed and abstentions, an indication of the philosophical division that marked the two days of intense deliberation. The racial issue, however, was not offered by the committee as the reason for the ousting. The Rhodesians’ failure to produce passports and prove they were British subjects as well as Rhodesian citizens, as stated on their Olympic identity cards, was given by Brundage as the technicality for withdrawing the invitation four days before the opening ceremonies. But the growing concern of a mass withdrawal by black African nations undoubtedly presented a more realistic threat to the competitive aspect of the Games and overshadowed repeated committee support for Rhodesian participation. The significance of the decision was best symbolized in the exuberance of Jean?Claude Ganga, secretary?general of the Supreme Council for Sport in Africa. He emerged from the meeting waving his arms and flashing the V sign for victory to other black Africans milling around the Bavarian Parliament building that is serving as the site for the I.O.C. sessions. The survivors of the Andes flight disaster are rescued after 73 days. They reportedly survived by cannibalism. Uruguayan Air Force Flight 571 was a chartered flight carrying 45 people, including a rugby union team, their friends, family and associates, that crashed in the Andes on 13 October 1972, in an incident known as the Andes flight disaster and, in the Hispanic world and South America, as the Miracle of the Andes (El Milagro de los Andes). More than a quarter of the passengers died in the crash and several others quickly succumbed to cold and injury. Of the 27 who were alive a few days after the accident, another eight were killed by an avalanche that swept over their shelter in the wreckage. The last 16 survivors were rescued on 23 December 1972, more than two months after the crash. The survivors had little food and no source of heat in the harsh conditions at over 3,600 metres (11,800 ft) altitude. Faced with starvation and radio news reports that the search for them had been abandoned, the survivors fed on the bodies of dead passengers that had been preserved in the snow. Rescuers did not learn of the survivors until 72 days after the crash when passengers Nando Parrado and Roberto Canessa, after a 10-day trek across the Andes, found Chilean arriero Sergio Catalán, who gave them food and then alerted the authorities to the existence of the other survivors. Mark Spitz becomes the first athlete to win seven medals at the one Olympic Games. The comedy actor Charlie Chaplin returns to the United States for the first time after being labeled a communist during the Red Scare in the early 1950s. An Aeroflot Ilyushin Il-62 crashes outside Moscow. All 174 on board are killed.